So I bought OPI's Lucky Lucky Lavender Nail Polish from Lydia's Blog Sale a few weeks ago and decided last night to give it a whirl. What a nightmare that turned out to be. It was ridiculously streaky even with the first coat. I left it a good ten minutes before I even attempted to apply another coat. The same thing happened when I with the second coat. I thought this is going to have to come straight off. However it actually dried back really nicely, with pretty much no streaks! This really surprised me because usually when a nail polish is streaky in the application stage it almost always dries back awful. From the photo you can see its definitely not as streaky as I first thought. I think a third coat would be needed though to get a completely smooth finish, but I'm just far too lazy to do that! In terms of the colour I love it! 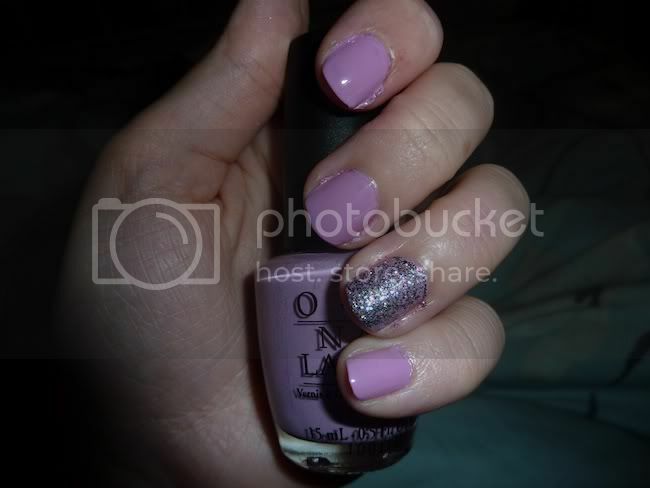 Its just such a gorgeous lilac colour, perfect for summer! Have any of you tried Lucky Lucky Lavender? What are your thoughts? 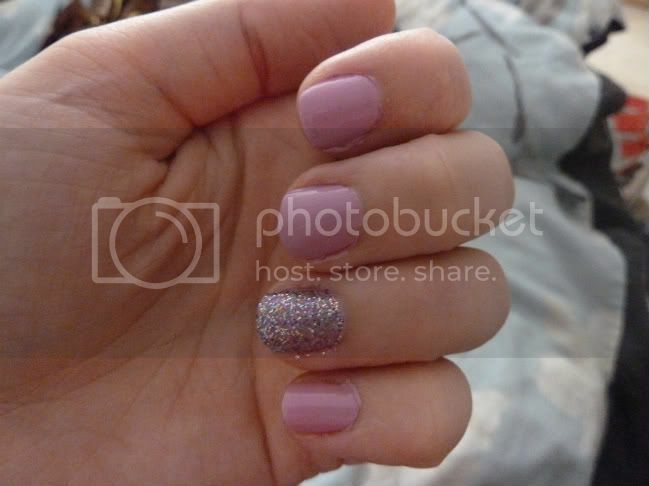 this colour looks fab with that shade glitter nail!! which shade is that ?? I think it looks fine with just the two coats, lovely colour too. Personally I'm not a fan of OPI, although saying that I've just applied Coney Island Cotton Candy! So annoying when polish is a pain to apply - but it does look really pretty. I'm wearing OPI Bright Lights Big Colour, which is really pretty in the sunshine with a bit of a (fake) tan. Its shimmery coral which both applies and lasts like a dream. Loving it. I also have LLL, and my application was dreadful, it was awfully thick, gloopy and also smelt really funny, I thought I had a 'bad' bottle, perhaps not after reading this! It's a real shame as the colour is great! A really good dupe of this is Barry M Berry Ice Cream, it's slightly more Purple, but no messy application! at least they look nice with two coats, unlike the bad essie ones...! Gorgeous :) I want I want! Where do you buy OPI from?